Discover the best of Miami during this guided city tour including the neighborhoods Wynwood, Little Havana, Art Deco District, Coconut Grove, Coral Gables, Brickell. After your pick up in your Miami Beach Hotel your guide will take you through the historic Art Deco District with famous Ocean Drive. You will learn about the history of this unique architecture. 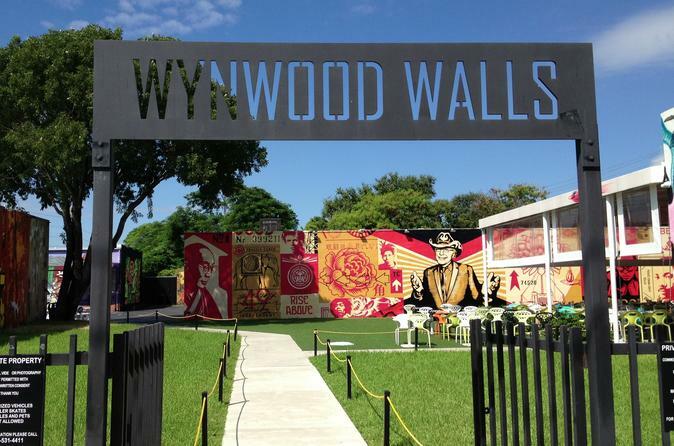 In Wynwood you will have some time to explore the amazing graffiti art, shops and cafes. Little Havana then invites you to explore it’s rich Cuban heritage with small Cuban cigar factories, coffee shops and bars. Coconut Grove and Coral Gables are beautiful residential areas with lush gardens and historic mansions. Enjoy some time at Bayside Marketplace home of Hard Rock Café and several shops and cafes. Your comfortable, air-conditioned minibus will pick you up from your Miami Beach hotel in the morning to begin your overview of Miami. Sit back and gaze out the large windows as your guide tells you about Miami's history and diverse neighborhoods. In Downtown Miami, marvel at the towering skyscrapers housing major companies and impressive hotels. Marvel at the colorful buildings in the historic Art Deco District, and delight in the white sands and lively vibe of South Beach. Drive through Coconut Grove — one of the oldest neighborhoods in the city — and appreciate the youthful vitality of Coral Gables, home to the University of Miami. In Little Havana, home to many Cuban immigrants, observe the Latin influences so essential to Miami's character. As you make your way through the streets of Miami, make brief stops to capture photos of top sights including Holocaust Memorial, Calle Ocho and Little Havana Walk of Fame. Arrive at Bayside Marketplace, an open-air mall with numerous boutiques, restaurants and art vendors. During a 1-hour break, browse the shops and grab a bite to eat (own expense) in this mellow setting with lovely views of the Miami skyline. Or, opt to spend your hour on a narrated cruise of Biscayne Bay (own expense) and see expensive yachts and spectacular mansions.